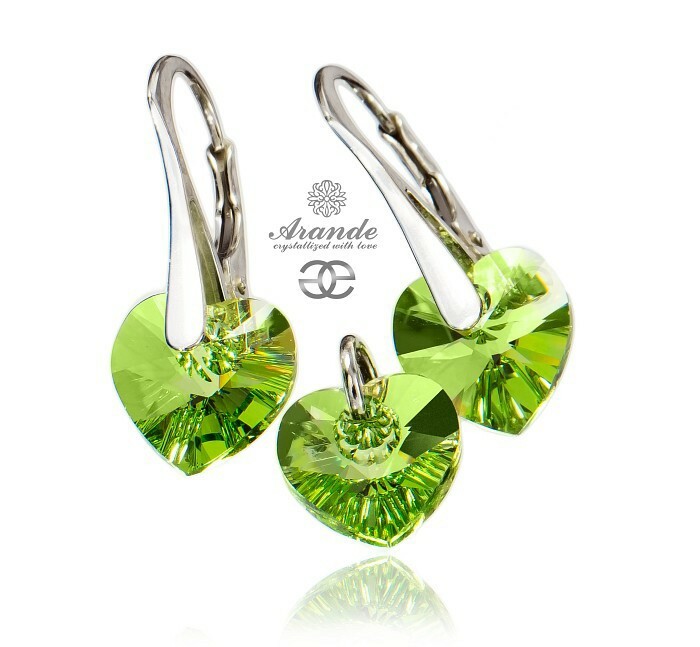 Beautiful sterling silver earrings with Swarovski crystals: PERIDOT. Original crystal HEART in beautiful Peridot color. Unforgettable jewellery for any occasion. It can be central element of your style or may be a perfect gift for your significant other. Elegant clasps and elements made with STERLING SILVER 925.